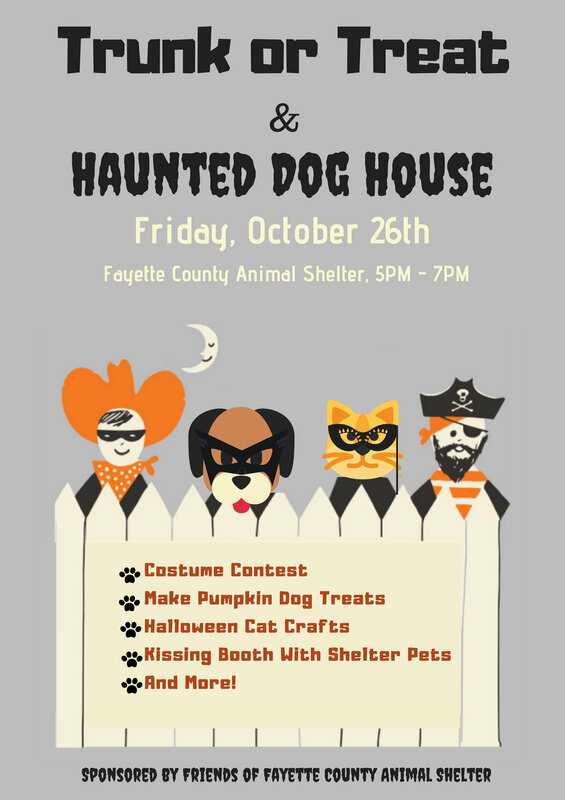 Join us for a spooktacular fun time at this years Trunk or Treat & Haunted Dog House event Friday, October 26th! Thanks to one of our amazing volunteers, FFCAS has our very own Santa Paws Tree up at Animal Medical Clinic!! From now until December 15th, grab an ornament, write your address on the back. Take it to the receptionist desk with a cash or check donation!! All proceeds will go directly towards Fayette County Animal Shelter's homeless animals this holiday season!! Fashionable Fundraiser at Talbots in The Avenue Peachtree City! 10% of your purchase will go to Friends of Fayette County Animal Shelter to help improve the lives of Fayette County's homeless animals! Another great Paws to Read event! We love this event as it is always so heartwarming to see how the animals love the attention from the kids and vice versa. These pictures really capture the love that these adults, children, dogs, and cats have to give. The kids were able to sit outside and read to the dogs, read to dogs and cats inside the shelter, paint awareness rocks to place around the community and make treats for the shelter dogs / their own. We had around 40 children and their families from many of the Fayette County schools, about 25 of the best volunteers ever, our director, our county administrator, two commissioners, Fayette News, and Fox 5. Thank you so much for creating this event Shannon Keith O'Hara and for the pictures MW Photography! We have to give a huge shoutout to The Avenue Peachtree City for hosting such an incredible event! Friends of Fayette County Animal Shelter was honored to be one of the charities The Avenue Peachtree City asked to participate in their Monday Movie Night event this year. This was a free event to the community which included a showing of The Secret Life of Pets, multiple vendors, giveaways, face painting, a bounce house and much more. With almost 400 attendees throughout the night we were ecstatic to receive almost the equivalent in donations that will go directly towards improving the lives of Fayette County's homeless animals! We are also happy to announce that all three adoptable dogs (Stanley, Delilah and Toby) who attended the event received adoption applications the very next day! Thank you so much to The Avenue Peachtree City and to all who attended the event, donated and loved on the pups! We can't wait for next year! Smooch the Pooch was an event FFCAS hosted for Valentines Day. The Avenue Peachtree City graciously allowed us to bring our awesome volunteer made kissing booth and adoptable dogs for a fun filled day. Smooch the Pooch was so much fun and better yet, raised awareness for adoptable dogs at the Fayette County Animal Shelter. I mean who doesn't enjoy puppy kisses afterall?? Paws to Read is an event hosted by Friends of Fayette County Animal Shelter where kids are invited to read to adoptable dogs and cats at the Fayette County Animal Shelter!